Is It OK to Ask How Much Someone Paid for a House? Is it OK to ask how much someone paid for their house? According to the following, written by Jeanne Sager, in the past such a question might have been considered gauche, just as much in poor taste as inquiring about someone’s salary or the amount in their bank account. But times have changed, particularly in the world of real estate. Want proof? Consider a recent survey of more than 500 homeowners nationwide conducted by Branded Research with realtor.com®, which found that a firm majority—70%—think it’s fine to inquire about a home’s purchase price. So if your curiosity is killing you, go ahead and ask; most home buyers won’t mind filling you in. But the reality today is that real estate prices are no longer private. All you need to do is pull up a site like realtor.com, plug in the address, and up pops a home’s estimated value, recent purchase price, and more. Given that all this info is readily available online, why pretend it’s private? Millennials, it turns out, tend to be more comfortable than older generations when inquiring about a home’s price. According to the survey, 81% of people aged 25 to 34 were on board with discussing these details. Meanwhile, 49% of homeowners 65 and older felt such a question was acceptable. This makes sense: Millennials grew up in a time when real estate prices were widely available online, whereas folks who grew up before the ubiquity of computers and smartphones had to go visit a municipal office to pinpoint that number. Nyssa Calkin of Callicoon, NY, is one of those all-in-the-open millennials. She says she always assumes people can look up her home through tax records to find out how much she paid, so she’s never had qualms asking someone else. “Since I don’t care if people ask me, I assume it’s not a crazy huge deal if I ask someone else,” she says. In addition to generational differences, our comfort level asking how much a home costs also depends on where you live. People living in Western states are the most open on this topic, with 77% saying they’re fine discussing the price of property they own. Meanwhile, 68% of people in the Northeast are comfortable talking property prices, followed by 66% of Southerners. Midwesterners are the least comfortable on this front, with 55% saying they’d ask such a question. That includes Elizabeth Licata of Bloomington, IN, who admits she’d “feel weird” if someone asked how much she spent on her home. As for why these regional differences exist, some homeowners think it might be due to the volatility of the market they’re in. “When I lived in New York City, everyone asked each other how much they paid for property; it was a given you’d share,” says Monika McMahon. She chalks this up to the fact that prices in the Big Apple have changed so much, local residents feel they should ask just to stay informed. Yet in Chicago, where McMahon lives now, prices have been relatively stable, so people already have a good idea how much homes cost. As a result, there’s less of a reason to ask about home prices to get your bearings. 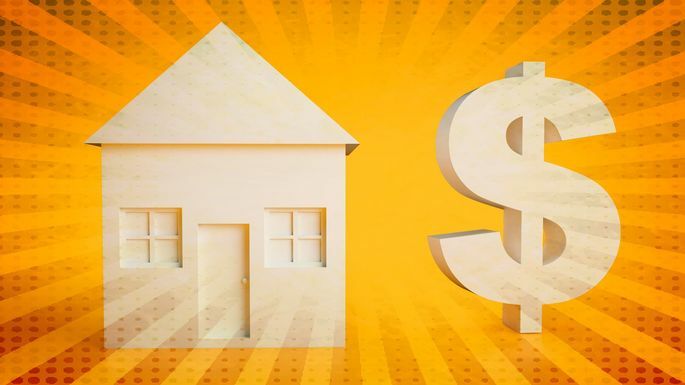 Although the majority of people won’t mind if you ask how much they paid for a home, if you want to play it safe, you’ll want to couch your question carefully. If you’re having a conversation about the home, you can ask less-pointed questions such as, “We’re just starting the process of looking for a house; do you know the price range of houses in your neighborhood?” That leaves homeowners free to talk in broad terms about the neighborhood or to get specific if they’re comfortable going there. What if the tables are turned and you’re the one getting the question? Well, how much you want to reveal is entirely up to you. “You can say something nebulous like ‘We paid a little bit over asking, but we stayed well within our budget,'” Smith says. It isn’t rude to skimp on specifics. Then again, if you’re up for sharing exact numbers, go right ahead—it might help some hopeful buyers get a handle on the market that could help them land a home of their own! Questions? Please ask. As always, I’m here and happy to help!